Why Are New Dawn Diamonds Becoming More Popular? In today’s date, diamonds mean ‘New Dawn Diamonds’. Why so? Have you ever thought of? Most of you have a tendency to go as per the market demand, without knowing its pros and cons. Instead of taking your own decision, you love to follow others. Is this what you are? Well, in that case, you should know why New Dawn diamonds have taken the place of real mined diamonds and why they are ruling the diamond market. 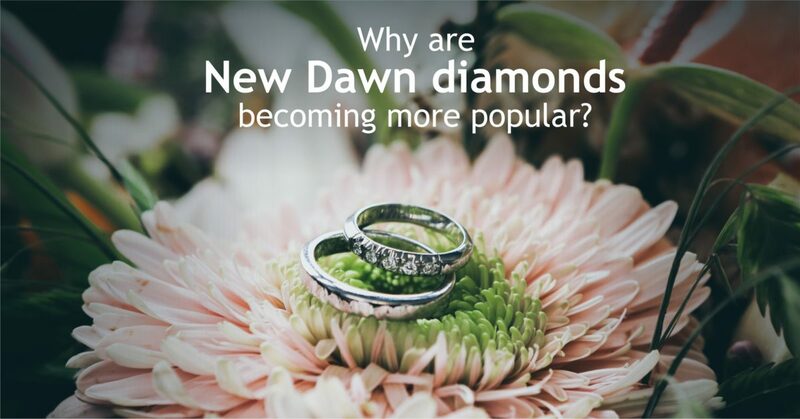 So, without wasting your time let us check out the key points on why New Dawn diamonds are becoming popular day by day. Are you ready? Let’s get started. Before buying something, we all have a common tendency to check out the market price of that particular item. Isn’t it? Then why will diamond be isolated from that? Before the advent of New Dawn diamonds, you might have a perception that diamonds being cost-effective is impossible as they are considered to be the most expensive gemstone available in the market. But your concept was eventually proved wrong and it has appeared just as the icing on the cake. Lab-created diamonds being formed in the laboratory, are available in a huge mass. Whereas, if you look for the real mined diamonds, you will hardly find one. That is the reason why, they can be purchased comparatively at a lower price rate. Want to invest less, but still want to gift something special? Lab-grown diamonds will definitely rule your heart. New Dawn diamonds are again considered as Eco-friendly diamonds. Why so? Diamonds that you have studied in your high school, are formed under the Earth’s crust, whereas the diamonds that you are learning now, are created in the laboratory by the gemologists. Therefore lab-grown diamonds do not disturb a shovelful amount of earth while its creation. In addition, to get the natural diamonds huge machines are required to mine out the diamonds, that again causes serious pollution. On another hand, no such sound or air pollution occurs when diamonds are grown in labs. In labs, all these things are mostly taken care of. Are you a person with eco-friendly attitude? Then surely you will gonna love it. 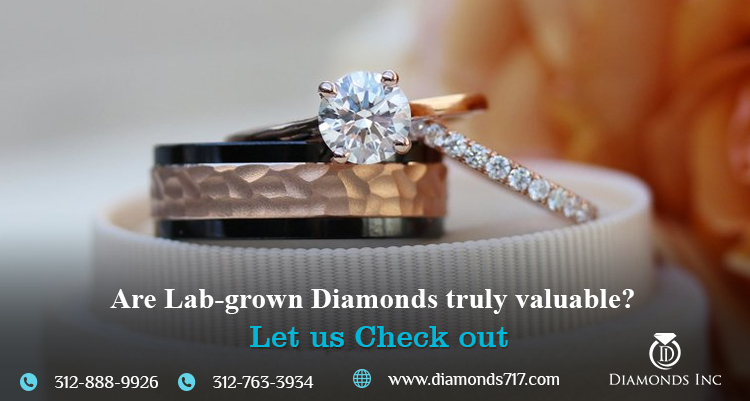 Just like real mined diamonds, lab-grown diamonds are also everlasting in nature. These diamonds once bought can be used till eternity. Such an everlasting diamonds at a cost-effective rate, isn’t it amazing? Most of you before committing to buy such diamonds, start wondering about its future. But believe us, these diamonds are beyond your wonder. You can’t even imagine such features of real diamonds in lab-grown diamonds. Do you? Are you getting heart attacks? Hold on tight. Because there are still some breathtaking features waiting for you. Not just like that, people are running after these diamonds. Lab-created diamonds or the New Dawn diamonds are absolutely identical to mined diamonds, in both physical properties and chemical composition. Likewise, they are similarly graded as those natural diamonds. They too possess the four C’s- Cut, Color, Carat, and Clarity, as that of the mined diamonds and are graded by the GIA labs. Don’t worry, the jewelers can’t cheat on you. Because, it is the duty of every jeweler to provide the GIA certificate to their buyers on their every purchase. This is yet another reason why people are having a craze to buy such diamonds. Buyers, especially the women always look for varieties while purchasing, no matter whether it is a jewelry, costume or something else. They actually want to get the best out of the collection and look the best among others. Moreover, they have a tendency to pair their jewelry with their dress. Is their desire be fulfilled putting on real mined diamonds? Unfortunately not. Real diamonds can only give you variety in shapes, not in shades. As they are found colorless. But lab-created diamonds can make your dream come true. Want a pink heart-shaped diamond, blue round brilliant cut diamond, or anything else? You can get a variety of colors and shapes for your love. While buying something expensive we all have a tendency to examine it, to assure whether the product is fake or not. Isn’t it? Now the question is, “Is this actually needed for the diamonds grown in the laboratory? Since the diamond jewelers are already providing their customers with the GIA certificate.” Well, it is always useful to be secure from beforehand. You don’t have to look for the ways separately, to detect these diamonds. Your lab-grown diamonds can easily be detected by using all the possible ways of distinguishing real diamonds from the fake one. Are you aware of the tests? 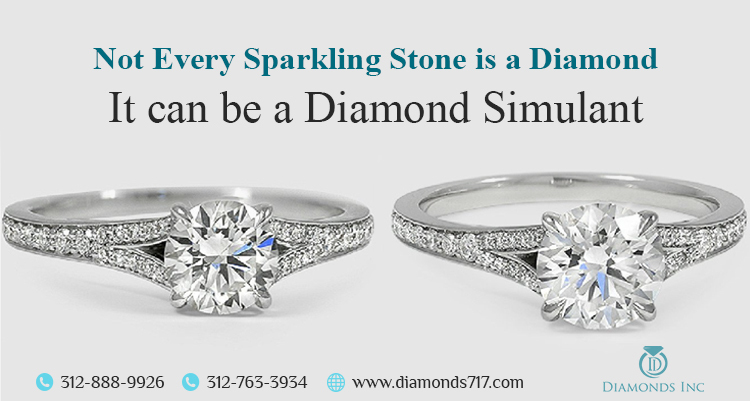 If not, check out our blogs on diamond tests and detect whether your diamond is a fake stone or the real one. All these above-mentioned reasons, have taken the breathe away of every potential diamond buyers. Will you like to be the one? Browse the Google and get the best destination of buying such diamonds at a reasonable rate. 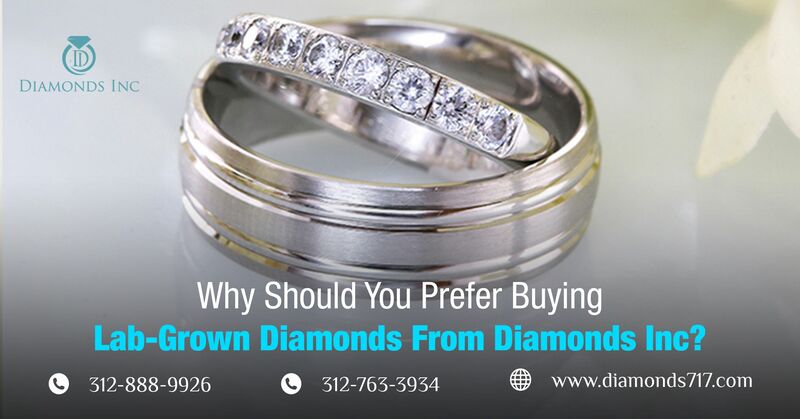 However, if you don’t mind traveling, then we will refer you to visit the Chicago’s Diamond district once. We are sure the Historic Jewelers Row will certainly take your heart out and you can’t help yourself in purchasing diamond engagement rings, wedding rings, or any other diamond studded jewelry from there.